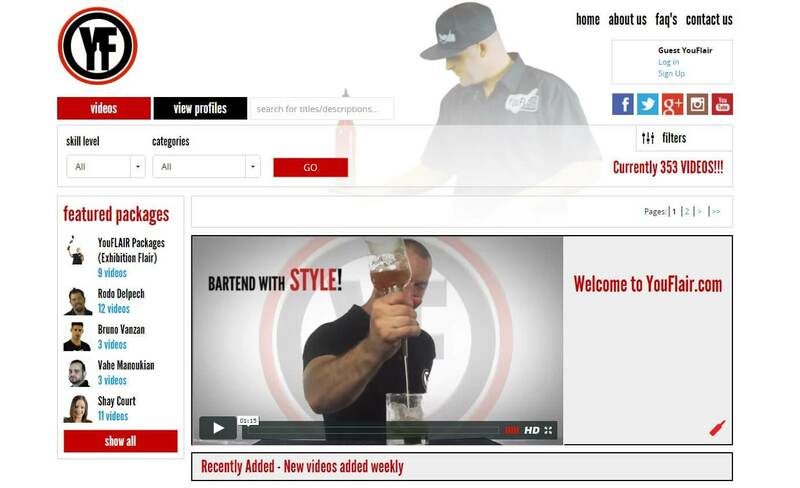 The principals at YouFlair.com saw a niche global need for educational content that would help a bartender separate themselves from their peers and increase their earning potential – specifically product so valuable that bartenders would pay for it themselves out of their own pockets. There were lots of generic pay-per-view solutions on line but nothing that gave the client both the creative control over video content AND the ability to group and package products that catered to the unique needs of this very specialized market place. And, there was an even greater opportunity in developing partnerships with large national and international restaurant chains if specialized administrative features and functions could be integrated into the core experience. The principals were expert bartenders but were not software developers. They needed expert advice to guide them and expert skill sets to deliver what they needed on time and on budget. DIT’s extensive e-commerce & on-line community experience combined with its expert ability to manage and distribute video content made it the perfect partner for the client. membership and favourite sorting capabilities. DIT was careful to completely understand both the client’s requirements and their end-user expectations before moving ahead with any design or development – the success of this project was all about the planning. And, planning is where DIT excels – it’s expert planners and project managers have a proven system for ensuring that all features and functionality are identified and documented. Then, there’s a prototyping phase which gives the client a simulator in which to experience the product from the perspective of the end-user – all with the intent to deliver a world-class product that the client can be proud to present to their customer.